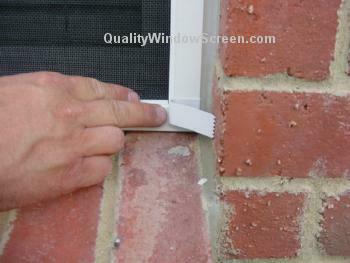 In the above example, measuring between the Brick Opening is About 35 1/2 Inches. 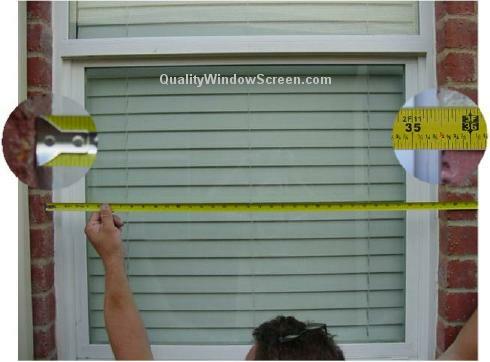 Subtract 'About One Inch' and order the Solar Screen Width About 34 1/2 inches. It's That EASY! That's why we call it the EZ Grips! 1. Slide EZ Brick Grips into place at corners or crossbar or as needed. 2. 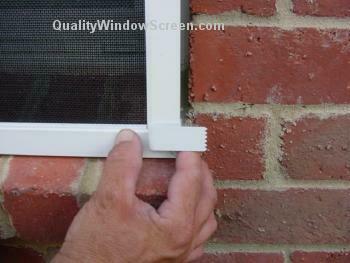 Push Solar Screen into place against window. It's That EASY! That's why we call it the EZ Brick Grips! 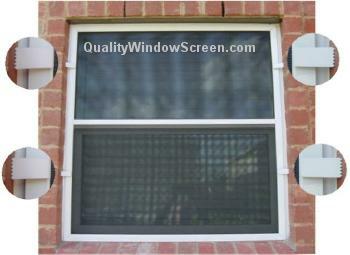 Quality Screen Co. Offers These "How To" Guides to Provide Some Guidance and Tips on Various Activities Related to Measuring, Ordering or Installing Window Screens, Attaching Solar Screens, Roll-Away Retractable Window & Attaching Door Screens, Porch & Patio Screening Systems and Other Do-It-Yourself Screening Projects. 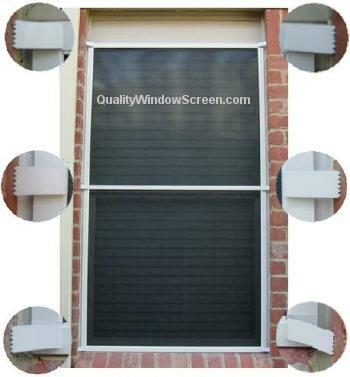 Remember That We Cannot See Your Windows or Doors and That You Are Responsible For Determining Your Own Installation Specific Needs. If the How To Guides Do Not Seem to Describe Your Project or You Do Not Understand Our How To Guide, Feel Free to Contact us.